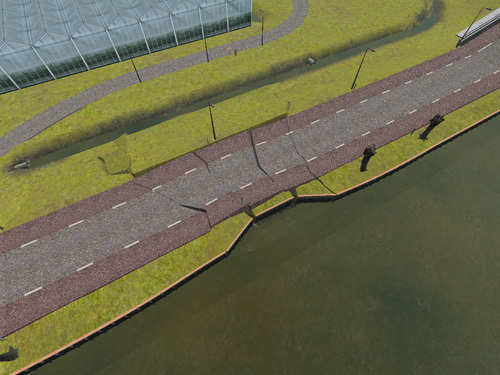 Levee Patroller is a serious game created by Deltares using the Unreal Engine version 2. It has has been developed in cooperation with several waterboards and the Technical University of Delft. The development started in 2006 and the game was finished in 2007. Yet, we are still working on improving the game continously. Drought scenarios (for peat levees) are now available, and so is a statistics system that can show how well (volunteering) levee patrollers can recognize certain types of failures. 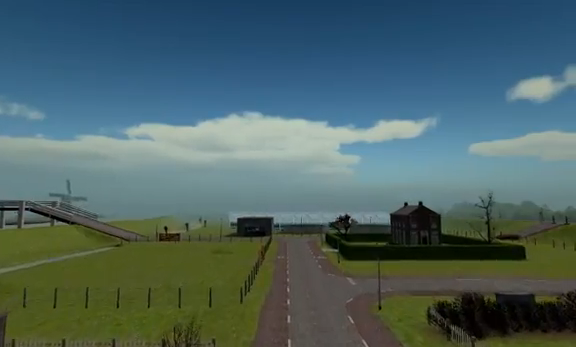 In Levee Patroller, the player has to walk around typical Dutch scenery (including windmills, ducks and many levees!) and try to spot various failure mechanisms that threathen the delta from flooding. When the levee breaks, the water will quickly fill up area. Game over. Levee Patroller has been used in the promotion research of Casper Harteveld, called Making Sense of Virtual Risks. As well as in his master thesis Triadic Game Design - Balancing Reality, Meaning and Play. 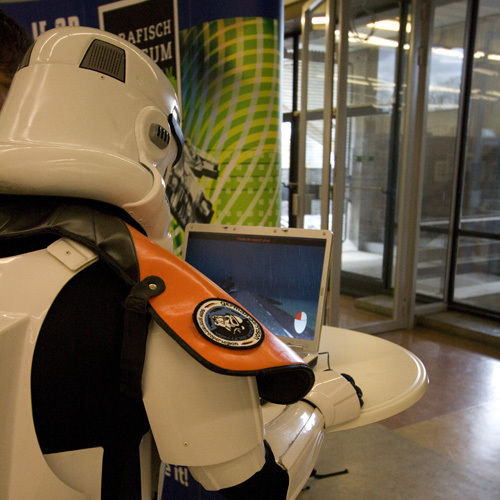 But we also modified versions to determine how people experience sounds and dynamics in games (Engagement and EMG in Serious Gaming: Experimenting with Sound and Dynamics in the Levee Patroller) and also for walking around dark virtual environments in games. As of 2009, there is a "Drought version" available. Drought can be a serious problem in peat levees! 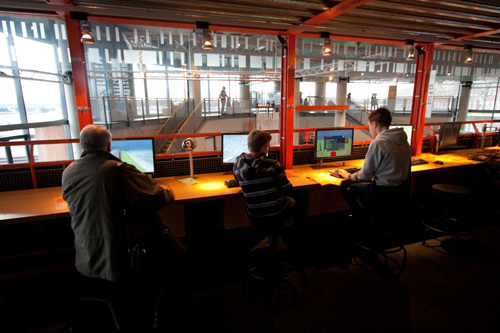 Levee Patroller has also been featured in the Science Centre Nemo in Amsterdam, and is also part of the permanent exhibition in the Delft Science Centre. As of November 2012, there is also a mobile "Arcade" version available. One level of Levee Patroller has been ported to iPhone and Android through Unity, and is available from iTunes or Google Play. It's free, so be sure to check. And we have had some special players too! Maybe levees are also a problem on other planets?